Focusing on the need of the hour, DNS Accountants understands the need of efficient and transparent accounting services and has been providing comprehensive financial services like tax accounting, online accounting, IT accounting, small business accounting and chartered accounting in Glasgow. Since our inception in 2005, we have built a name for ourselves in the field of finance and accounting. We have gained tremendous experience from working for a broad range of clients across various domains and always strive for improvement in our performance every time. We have always endeavored to give our customers the best services by providing them clever and dexterous. Excelling in their respective fields of accounting, the staff members at DNS Accountants are well-qualified with high credentials and degrees from well-accredited universities, and they are also members of professional accounting bodies like ACCA and CIMA. We highly respect and value our clients for the faith they have on us. We are careful when it comes to clients safety, so you never have to worry about facing any penalty issues and fines. We promise to have your back with our timely and well-co-ordinated services that will save you from any potential hassle. Residing at the bank of River Clyde, Glasgow, Scotland’s largest city grew from a small undeveloped residential area to a metropolitan city of an annual economic growth rate of 4.4%. After the Industrial Revolution, Glasgow emerged as one of the hubs of manufacturing industries like shipbuilding, marine engineering, construction, printing and publishing, chemicals and textiles which are headquartered in the city, such as Aggreko, Weir Group, Clyde Blowers, Howden, Linn Products,etc. The other forms of economic activity in Glasgow included tobacco industry and locomotive construction industry. After the decline of manufacturing industry, Glasgow saw a visible increase in industries of the tertiary sector that are financial and business services, communications, biosciences, healthcare, higher education, retail and tourism. It is also home to four major universities of higher education and academics and has primary, secondary and specialist schools too. It is also the fifth most popular tourist destination of all time. Specialist accountants & tax advisors at DNS Accountants bring rich experience & expertise in field of taxation & accounting to help clients across UK save maximum taxes and increase profitability. Our qualified tax accountants in Glasgow are committed to cater top notch accounting & taxation services. Right from collecting tax-related reports to preparing documents and reporting to the taxation system at the federal, state, country, and local levels in efficient manner within the deadlines. Our advisors also assist you about the tax impact of various corporate strategies using their skillful approach. 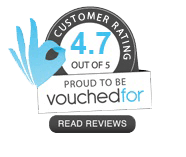 The team DNS accountants has achieved great results for their clients in Glasgow and across UK using their knowledge and rich-experience. IT accountants at DNS in Glasgow uphold provides specialize accounting & bookkeeping services to salaried IT professional, IT specialist or consultant & IT businesses. They do not only ensure financial protection by following internal control mechanisms, but also help in making timely payments whenever required by verifying records and requesting disbursements. Our IT Accountants in Glasgow, bring experience to provide clients with comprehensive advice on their accounting and tax affairs. They keep themselves updated about latest government procedures, HMRC tax updates & new laws. Over the years, our IT specialist accountants have been helping a range of IT businesses ranging from small to medium & enterprise sizes. If you’re an IT consultant or own an IT business, DNS Accountants have tailored services to offer you for all your accounting & tax related needs. Chartered accountants in Glasgow at DNS Accountants, offer auditing and company secretarial services to wide range of industries, individuals & contractors. Our dedicated team of chartered accountants brings immense value to the work and helps our clients save maximum on taxes. Our professionals are committed to protect client’s business secrets by keeping all the financial information confidential. Are you a small business owner in Glasgow or in an area nearby Glasgow? We at DNS Accountants specialize in offering tailored services to startups & small businesses in UK. Our small business accountants prepare and take care of all financial reports by collecting, analyzing, and outlining accounting information. Our management accounting professionals collect critical accounting information and prepare reports to enable you to have access to accurate information before you take any decision related to your organization. This is very helpful in performing your management and control functions effectively. Our Management Accounts Services extends to three essential segments: Strategic management, Performance management, and Risk Management. Our experts who will work in close coordination with your organization use the confidential management accounting information which comprises of future projections and is model-based with a degree of abstraction to support strategic decision making. It is computed according to the necessities of managers, frequently bringing management information systems into use. At DNS Accountants, we charge a nominal fee of £250 and for providing all management accounting services. We at DNS Accountants provides contractor accountants in Glasgow for expert accounting services as chartered accountants, IT contractor accountants, online accountants, small business accountants and tax accountants and make sure that all your accounting functions are being carried out efficiently. With our services extending to areas like Bishopbriggs, Giffnock, Stepps, Bearsden, Renfrew, Carmunnock, Torrance, we have been privileged to have served numerous clients across the country. 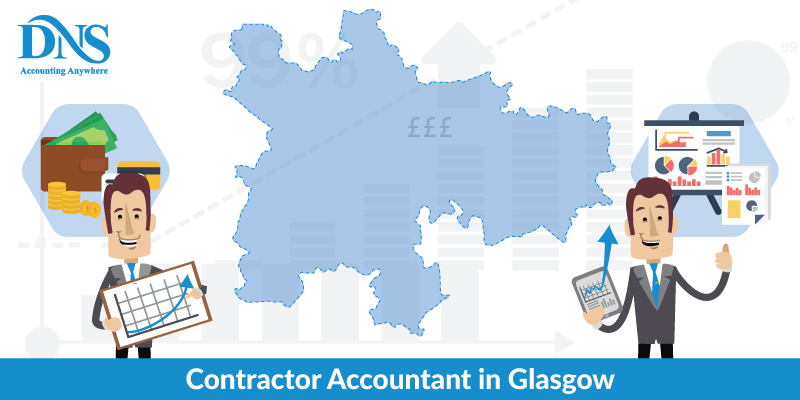 Our Contractor Accountants in Glasgow are determined, skilled and thorough professionals. They perform their duties to the best of their abilities and help our client’s progress in their area of work with all regulations and compliances duly followed. Delivering satisfaction with our premium services is what we believe in, which we achieve by providing value regarding tax advice, business development, and fund management.